Want to make your own custom Memoji on an iPhone? Of course you do! Memoji are the custom version of Animoji, the quirky cartoony digital avatars available in the Messages app for new iPhones. The fun thing about Memoji is that you can create a completely customized Memoji that can look like almost any character you set your mind to, with custom hair styles, skin, eye wear, head wear, eyes, lips, brows, nose, and many smaller customizations for each defining trait. You can make a little cartoon avatar of yourself, or of a character, or just create a completely unique avatar. After you make a Memoji, then using Memoji is the same as using Animoji, but first you have to create one to use. This tutorial will show you the process of setting up and making your own unique Memoji on an iPhone. The Memoji feature requires an iPhone XS Max, iPhone XS, iPhone XR, iPhone X, or newer model iPhone, with iOS 12 or later. This device limitation also applies to Animoji, as the feature does not exist on any older iPhone models, any iPad, or any Mac (yet anyway). The Memoji clip arrives to the receiving person like any other Animoji would. If the recipient is on a new enough iPhone model, the Memoji will play automatically, with the animated Memoji character and any audio you record with it. If the recipient is on an older iPhone, a Mac, iPad, or Android, the Memoji will arrive as a video clip that has to be played manually instead. Once you save your Memoji you can use the same Memoji with anyone else in your contacts list, just select the Memoji character from the Animoji section of Messages as usual. 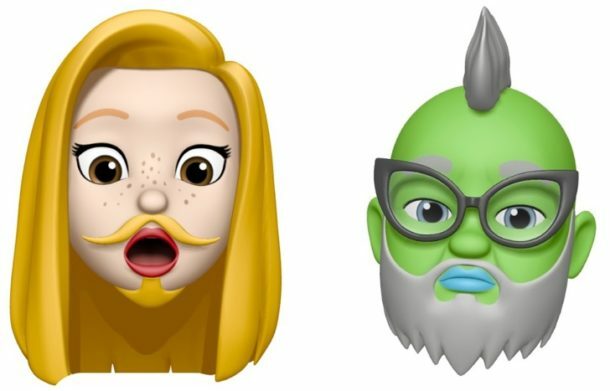 In this regard, using an existing Memoji is exactly the same as using an Animoji in Messages on the iPhone. You can also edit any Memoji at any time if you want to customize your Memoji or update it. If you want to preserve your original masterpiece Memoji, you can duplicate them and then make edits to the copied Memoji as well. 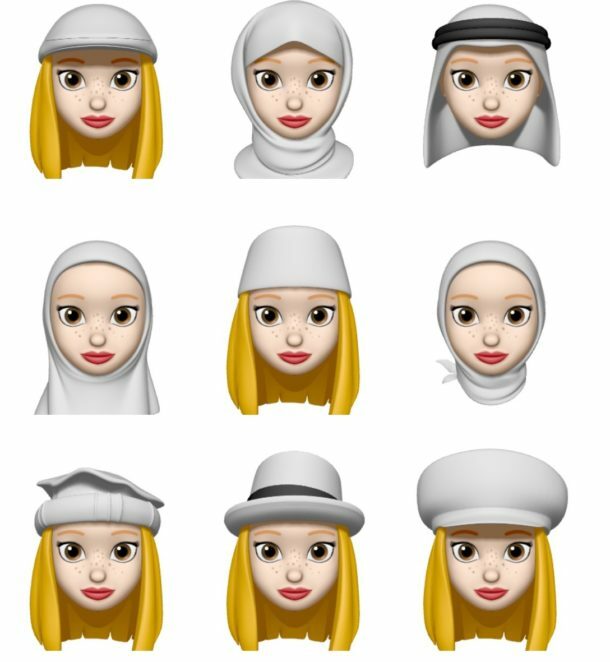 Or you can simply create a new Memoji at any time. Creating multiple Memoji can be a fun way to use the goofy feature in iOS, since you can really create some ridiculous looking characters. If you create a particularly exciting Memoji that you’re proud of, remember you can convert an Animoji or Memoji to GIF with the Shortcuts app on iOS, which lets the Memoji sequence repeat endlessly automatically when sent to another person, even if they’re on an older iPhone, Mac, iPad, Android, or otherwise. How you want to use the Memoji feature is up to you, but surely you’ll have some fun with it. So grab your compatible iPhone, make a Memoji, and have at it. You’re sure to get some laughs. The juvenile things like ANIMOJI and MEMOJI are very curious to me. Who are these features made for? Teenagers? But how many teenagers have $800$-1500 premium iPhones that support these features? “how many teenagers have $800$-1500 premium iPhones that support these features? A heck of a lot of them. How? Because they or parents, take out extended contracts and pay big sums on a monthly basis. Some might also argue that if you’re paying these prices, you should get “extras” that other phones don’t have. And it’s harmless. I won’t ever use this feature….. so what? this is why i’m not upgrading my ipad and stopped using apple software because they care about this stupid emoji environment while other products they made do not perform as the should. itunes is a joke on any OSX now and their photo, quicktime and safari will not perform to today’s computing standards! are on lPhones X and newest, anyway I have got a gif maker and it is absolutely amazing! After upgrade it made a lot of versions of Gifs, even Time Lapse! Thanks for sharing your great Tips, i‘m Very appreciate! Indeed. Animojis are only available on the iphone X and later models that have face recognition tech (used for face id), and presumably on the latest iPad Pro models now also featuring the same face recognition technology as the afroremnentioned iphone models. I wish the faceID camera would be able to make automatically a first draft of Memoji then we would just have to edit it a bit.